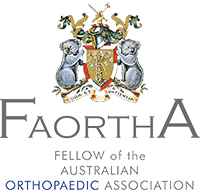 Our group consists of Australian-trained Orthopaedic Surgeons with further international subspecialised training at respected world centres. We strive for consistent balanced assessments of your presenting condition and provision of detailed explanations regarding treatment options. We treat a wide range of inflammatory, degenerative, congenital, soft tissue and ligamentous conditions of the foot, ankle, hip, knee and shoulder. Our main rooms are located centrally at 170 Gipps Street, East Melbourne with each surgeon having satellite consulting suites across greater Melbourne. Our specialists hold public appointments and are actively involved in the training of future Orthopaedic Surgeons. The practice works in close consultation with general practitioners and allied health professionals to deliver the highest quality of rehabilitative care and comprehensive post surgical advice. Our surgeons ensure their practice remains current with advances in surgical treatments and device technology. MOS is driven by professional integrity with patient support our priority.